The current global development model is unsustainable, but it can be fixed. These are the findings of a distinguished group of laureates of the Asahi Glass Foundation’s Blue Planet Prize who contributed to the recent report, “Environment and Development Challenges: The Imperative to Act.” Since the prize was established in the year of the Rio Earth Summit (1992), recipients have included the likes of Gro Harlem Brundtland, Amory Lovins of the Rocky Mountain Institute, Paul Ehrlich of Stanford University, Bunker Roy of Barefoot College and Will Turner of Conservation International. 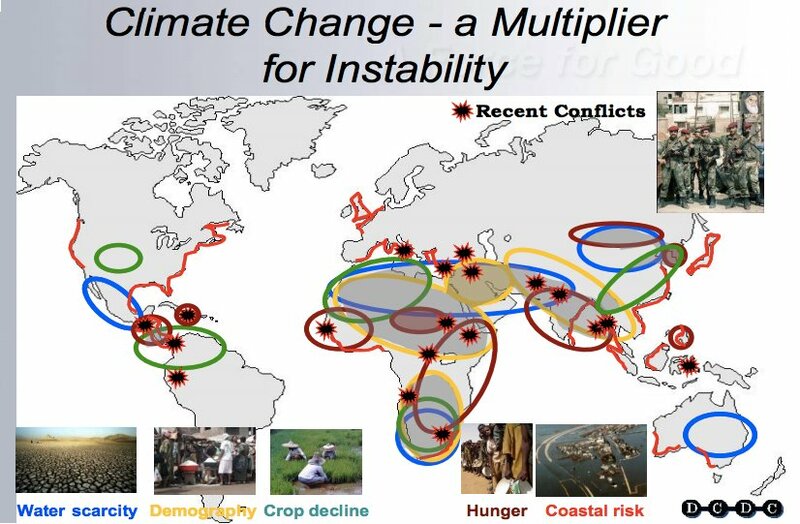 Human-induced climate change is primarily a result of the way the world has chosen to produce and use energy. Climate-altering fossil fuels account for some 90 percent of global energy needs, excluding some 12 percent of energy that comes from “traditionally scavenged biomass” like coal, wood and peat. The report traces the crux of many energy issues to market failures and misaligned incentives. Inefficient, environmentally damaging subsidies and tax codes have long favored fossil fuels at the expense of renewable energy alternatives. “Two-thirds of ecosystem services are currently being degraded globally, which will soon amount to an estimated loss of $500 billion annually in benefits,” according to the report. Biodiversity “runs human life-support systems.” The essential ecosystem services of biodiversity include: 1) providing food, water, fiber and fuel; 2) regulating climate, floods and diseases; and 3) offering aesthetic, spiritual, educational and recreational cultural benefits. Costly biodiversity losses and the impairment of ecosystem services are driven by: 1) the conversion and irresponsible use of natural habitats; 2) excessive exploitation of the earth’s limited and declining supply of natural resources; 3) the introduction of exotic species in places where they do not belong; and 4) human-induced climate change. Correcting market failures that underestimate or entirely exclude the full economic and social value of biodiversity and ecosystem services is a “particularly urgent and important” component of a new model for sustainable development. Regardless of climate change, over half the world’s population is projected to live in areas of severe water stress by 2025. Fifty to sixty percent of wetlands have already been lost. Global warming will only contribute to expediting and exacerbating the challenges to the world’s water sources. Issues of food and resource security raise the risk of human conflict. The map below shows areas of recent and potential future conflicts related to water scarcity, demography, crop decline, hunger and coastal risk. The laureates call for immediate action on a number of fronts to address the urgency of the economic and development challenges at hand. Value and Price in Environmental and Social Impacts – “The value of ecosystem services and natural capital must be incorporated in national accounting and decision-making processes across all sectors of society.” Factoring the full value of biodiversity and ecosystem services into decisions about energy production and use is a critical component of transitioning from climate-changing fossil fuels to renewable energy sources. Adapt to Climate Change – Climate change is real and inevitable. Even in the best case scenarios, countries need to take action to minimize the threats to living environments and loss of economic opportunities. Define and Operationalize Sustainability – The report points out that a clear, working definition and set of guiding principles for pursuing sustainability is “mandatory” for evaluating tradeoffs, calculating potentials and impacts and cooperating across sectors and disciplines. The challenge of addressing the real risks to sustainable development is exacerbated by an irrational, short-sided belief in the “perpetual growth myth.” Particularly in developed countries, too many people continue to blindly trust that economic expansion will somehow resolve the unpleasant issues of the day. The laureates beg to differ that, “Either we will change our ways and build an entirely new kind of global society, or they will be changed for us.” Fortunately, they offer hope that sustainable, equitable development “is an achievable dream” provided we are willing and able to make fundamental changes to the way things have been done so far.